prisoners, and many more topics touching various aspects of life. Anarchist Black Cross Federation L.A.
Romani/Gypsy culture through printed matter, film, & events. By Harjit Singh and Adam W.
“Hands Off Oakland Rebels” a short film abut the Oscar Grant rebellions. “Radical Feminist Anatomy” the history of radical feminist women’s health movement, followed by and exchange of natural health tips for women. NEXT Saturday. December 13. 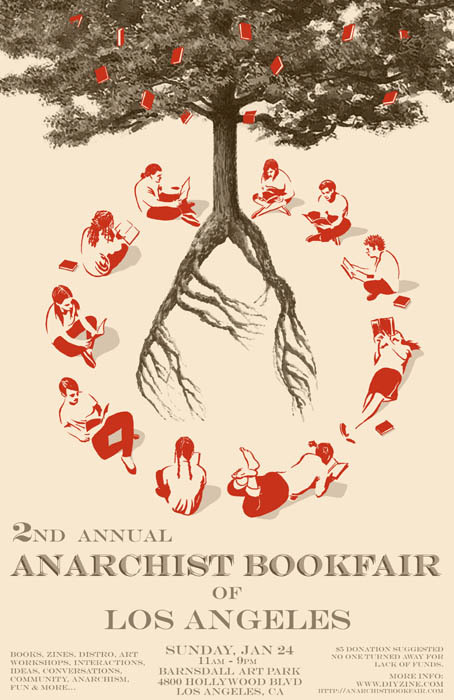 The lst annual LA Anarchist Bookfair!! This entry was posted in Events, Greater Los Angeles, Politica by Eastside Guest. Bookmark the permalink.